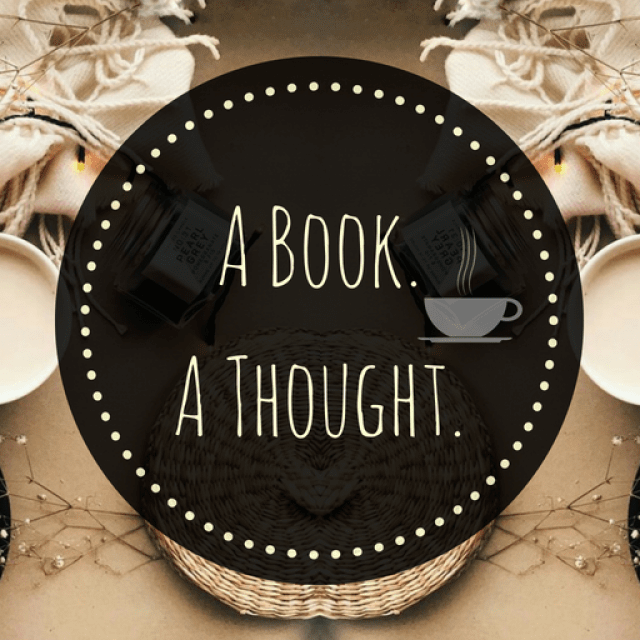 Book Review: Furthermore by Tahereh Mafi | A Book. A Thought. 29 July, 2017 29 July, 2017 / Sofii @ A Book. A Thought. The Furthermore world is full of color and magic and has descriptions of the most precious I’ve ever read, I’ve enjoyed alot guys. And I’m not surprised that I liked it because I love the Tahereh writing style, she manages to turn any type of story into something fantastic, poetic and beautiful. Furthermore it follows the story of Alice she’s a girl who in a world where the most valuable thing is the color, she born completely colorless. And although everyone can see her anomaly, she thinks she’s as valuable as anyone and she will fight to prove it, while she begins on a journey to find her father, who is lost since a few years ago, along with Oliver. I really like Alice’s character I think she’s very original and to be just a litlle girl she’s so strong, capable and daring and I really enjoyed reading about her and knowing her wishes and embarking on this great trip along with her. In addition, the genuine and super-sincere form she possesses to expressed herself is great. I found it so hard the way her mother treats her and punishes her and mistreats her. I think it’s really cruel and I don’t agree with Alice at times because I feel like she tries to justify her mother’s behavior. t was sad for me to see how she was practically alone in her daily life since her father isn’t there anymore. One of my favorite things is world building, it’s just beautiful so bright and well explained, I really admire Taharah’s ability to create something as unique and incredible as Ferenwood and its surroundings, it’s been all an experience. Each page describes extraordinary and ostentatious places, so good. The meaning of the magic and its function for the habitants of the place is great, it’s one of those magical systems that really worth reading and I think everyone would like it, even so I would have liked more explanation about this while the story goes on, and I would have liked more development in terms of the magical talents of each character, even so it has a lot of potential and if it had developed a little more would have been perfect. Oliver is a character that cost me a little to trust in him at first, because the way in which appears in Alice’s life and their history in the past but ended up being a good character, has a somewhat egocentric kind of personality at times but his relationship and hs dialogues with Alice are very entertaining, really love them. I think that compared to the incredible journey that the characters undertake, the end has been a little short, I feel that I missed something or was very hasty, you know? , I still can’t stop giving to the whole book all the merit that I can, because it shows so much the work that is put into it and I love that. I highly recommend it if you’re looking for a Fantasy Middle Grade with an amazing and whimsical world building, full of magic and colors. Simply if you want to fill your heart with sensational landscapes and daring characters, you have to read it! I’ve been seeing this book everywhere since it was announced! It sounds really good, and I guess I have been hesitant because I didn’t love the Shatter Me series (well, I only read the first one…. but still). But this sounds so adorable! I might just have to read it after all! Sounds awesome! 🙂 Great review! Loved your review! 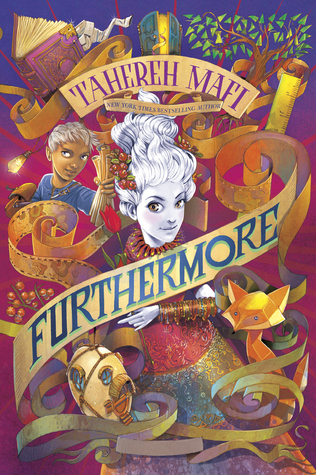 I love Tahereh Mafi and Furthermore is on my TBR. I’m even more eager to read it now. Would love it if you could check out my blog as well, I write book reviews too! Thankyou! Yes I hope I do as well!! Great review! You got me super excited to read this book and I’ve been seeing it everywhere which means I gotta read it sooon! It sounds awesome and I love Tahereh’s stories so there’s no doubt I’ll adore this one. Pingback: July Wrap Up  | A Book. A Thought. I bought this book months and months ago, but still haven’t read it. I need to squeeze it in at some point because middle grade fantasy tales are typically stories I rather enjoy. Great review! This sounds really good! I like the idea very much! Pingback: 🍂❄️ Seasonal Readings || Book Recs for Each Season 🌸☀️ | A Book. A Thought.